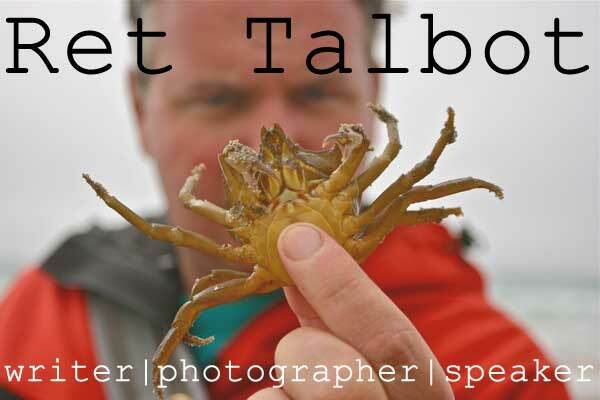 Ret Talbot is an award-winning freelance journalist who covers fisheries at the intersection of science and sustainability. His work can be found in publications such as Discover Magazine, National Geographic, Mongabay, Ocean Geographic, Coral Magazine, and Yale Environment 360. He is the creator of the Beyond Data Podcast and The Good Catch - A Fisheries-centric Blog, and you can follow him on Facebook and Twitter, where he freqently uses the hashtag #DataMatter. Talbot lives on the coast of Maine with his wife, scientific illustrator Karen Talbot. "Fisheries at the intersection of science and sustainability"
"[A]n unflinching portrait of the seafood industry"
"Ret catches the grit beyond the shine, the drift beyond the waves." "Asking tough questions and holding rhetoric to the fire, this commentator adds a level of passion and personal insight much appreciated in the community of seafood."